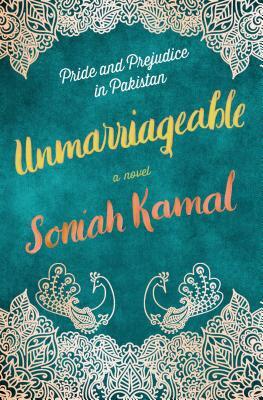 Soniah Kamal follows up her internationally lauded debut novel, An Isolated Incident, with a delightful take on Jane Austen’s Pride and Prejudice, in a Pakistani setting, in her new novel, Unmarriageable (Ballantine). 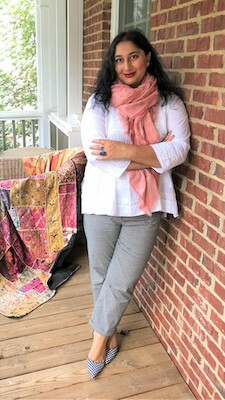 “As with Austen, whose books could be read as fun and simple romances or acerbic examinations of class and women’s choices (and lack thereof), Kamal’s Unmarriageable succeeds in being both a deliciously readable romantic comedy and a commentary on class in post-colonial, post-partition Pakistan, where the effects of the British Empire still reverberate. . . . Both a fun, page-turning romp and a thought-provoking look at the class-obsessed strata of Pakistani society.”—NPR. “Distinctly entertaining . . . Kamal uses her comedy of manners, infused with tender humor, to comment on the sorry state of affairs for too many young women from this part of the Indian subcontinent. . . . If Jane Austen lived in modern-day Pakistan, this is the version of Pride and Prejudice she might have written.”—Shahina Piyarali, Shelf Awareness.